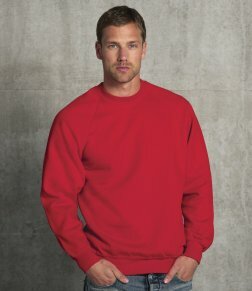 Sweatshirts – where are they now? Not that long ago, if you wanted work wear or uniforms & wanted to be warm you had one real option; the sweatshirt. The infamous line “any colour you want ….. as long as it’s black!” could have applied; Every manufacturer had the same style & the same colours and the only way to differentiate was with your logo. Bit by bit things improved; Raglan or set-in sleeve options appeared. 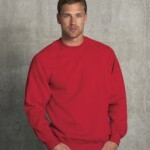 Suddenly a V-neck option arrived & then as modern textile colouring became available the options increased dramatically. The modern day sweatshirt developed during the 1920s from athletic wear, The patented manufacture of raised lettering by the Knickerbocker Knitting Company led to a boom for what had been a more functional garment into a medium for team wear & ultimately promotional & uniform wear. The highly stable, knitted style fabric being ideal for both embroidery & print made it a perfect addition to the growing industry of garment decoration. The problem is, what do you do when you’ve developed something as far as it will conceivably go? That’s where the sweatshirt was for a long period, A standard so well laid out that change didn’t come easily, from staff wear & uniforms to school wear & sports training wear everyone was in a sweatshirt! The 1960s and 70s saw sweatshirts become incredibly popular with university students who wanted to show-off their university’s identity. This has been one of the most popular sweatshirt incarnations, but over recent years this too has moved on. Now the human race being as it is that was never going to sit well – we love innovation & after the sleeves had been altered & the v-neck had been trialled it was time to move on. 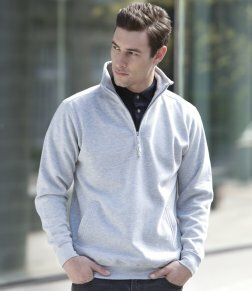 Polo neck style button collars, Cardigans, Zip neck options as well a zip jackets and then the hoodie (of which we’ll speak later!) the basic sweatshirt has evolved – what’s next? We don’t know yet but it’s safe to say things won’t stand still! This entry was posted in Sweatshirts on 11th March 2013 by admin.